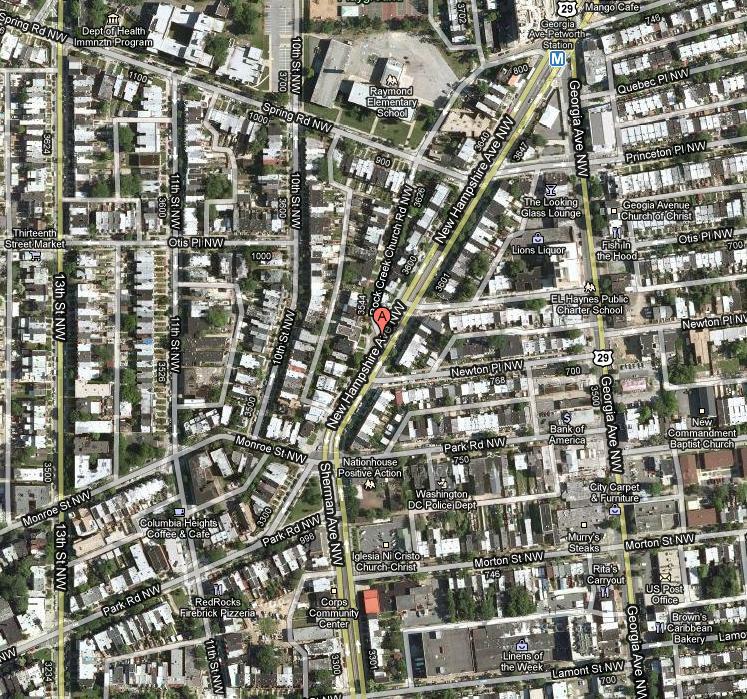 Location of the new Petworth area Capital Bikeshare. Image via Google Maps. According Kent Boese of the blog Parkview DC, the installation of a Capital Bikeshare station in Petworth is complete. Beose says, the “station is one of three that will be available to Park View residents. The other two are scheduled for the corner of 11th Street & Lamont in Columbia Heights, and Georgia Avenue between Euclid and Fairmont at Howard University.” The bikeshare location is a few l0ng blocks from the Georgia Avenue stop on the Green Line, a busy intersection that is being revamped as part of D.C.’s “Great Streets” program. David Alpert of Greater Greater Washington says, “I’m a little surprised there isn’t another station … right at the Petworth Metro. Of course, they had to prioritize and also had to find space.” DDOT did attempt to gather input from D.C. residents through an online survey and worked with D.C. Public Libraries to position the survey on the homepage of the city’s 600 public library computers. Perhaps the bike station is farther from the Metro due to the future “Great Streets” construction or because of the input of those who participated in the crowdsourcing survey. In further Capital Bikeshare news, this week another D.C. blogger noticed a new station at 14th Street and Harvard Street in Columbia Heights. The official launch of the entire system is due for September 20, when registered CaBi members will go on an inaugural group ride from Navy Yard Metro to help stock D.C.’s and Arlington’s new stations with bikes. 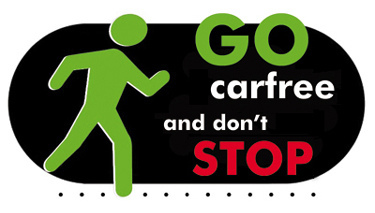 D.C. will also host its own carfree day on September 22. Around the globe people will gather in streets, intersections and neighborhoods to advocate for less car-dominant commuting culture. Washingtonians and those living in the DMV region are encouraged to bike, walk, work from home, take the Metro or use other public transit. Various sponsors for D.C.’s official event – Car Free Day Metro DC – will also be hosting a number of events and promotions in celebration of this day. Tags: bike-sharing, Capital Bikeshare, carfree days, Petworth, United States, Washington, D.C.